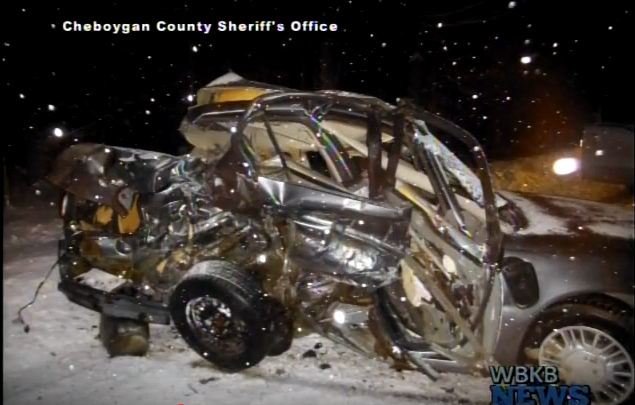 Snowy road conditions caused a fatal accident in Cheboygan County on New Years Eve. According to the Cheboygan County Sheriff’s Office, 22-year-old Tyler Hoobler was pronounced dead at the scene after he lost control of his car while driving on South Straits Highway in snowy conditions. Hoobler’s car crossed the centerline and crashed into a pickup truck driven by 27–year–old Veronica Gough. There were two other passengers in the car with Gough at the time of the crash. At this time, alcohol is not believed to be a cause of the crash. At the scene, the Wolverine Fire Department and Cheboygan Life Support System tended to the victims.